Vine today updated its iOS app with the ability to follow topical channels, such as Animals, Art and Comedy, and iOS 8 share extension support, which lets you post a video directly from the Camera Roll or another third-party video app. 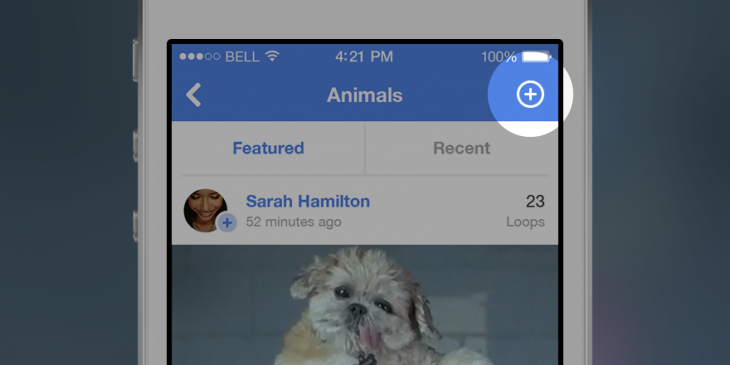 When you follow a channel, Vine will add “select featured posts” from it to your feed. With the new share extension, you can post Vines from other video recording and editing apps without having to open the Vine app. If you don’t see the Vine option in the list of available services from your Camera Roll share sheet, you can turn it on by tapping the More button and toggling Vine. Update: I’m having trouble getting this to work with Instagram’s Hyperlapse, but others have reported success, so it might be an isolated issue on my part. Today’s update also includes an optimized interface for the iPhone 6 and iPhone 6 Plus.